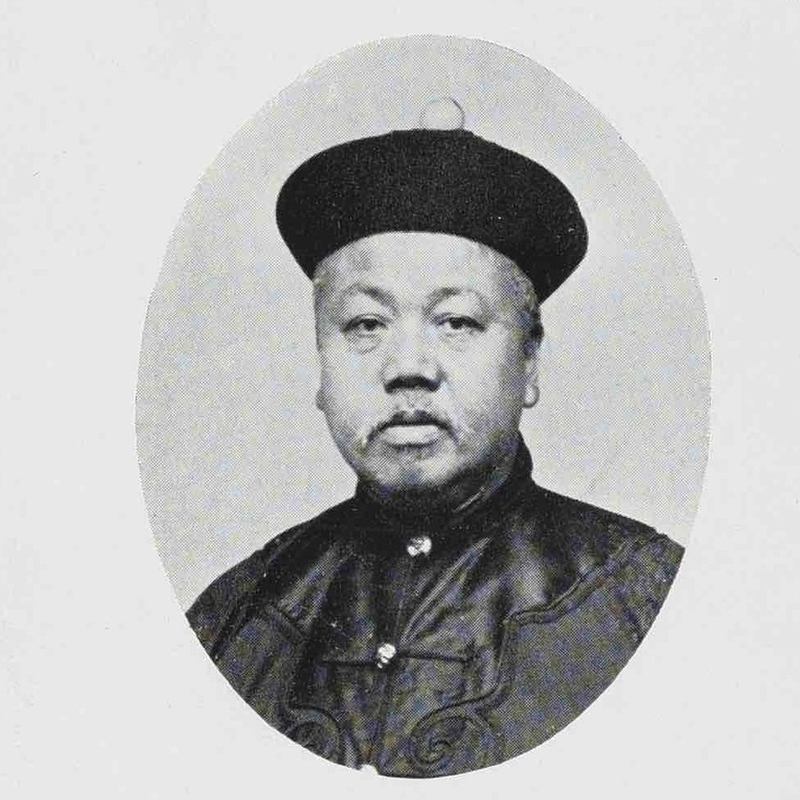 Mandarin pinyin Song Wenhui 宋文翙, was born in Shanghai, and came to the US as a member of the second detachment of the CEM. He attended the Natchaug School in Willimantic, Connecticut, where he won acclaim for his declamation and singing talents, then prepared at the Somerville High School in Somerville, Massachusetts (1878-1880), before matriculating at MIT. After returning to China with the recall of the CEM, he enrolled at the Fuzhou Naval School, where he specialized in navigation science. He was also married soon after his return, in 1882, to a Chinese lady at Macao. Sung enjoyed a successful career as a naval officer, beginning as a Chief Gunnery Officer on the Dingyuan in the Beiyang Squadron and eventually rising to the rank of Rear Admiral. He also worked for a number of years (1899-1907) at the Anglo-French Quiksilver Mining Company at Guizhou. Sung saw action at the Yalu River battle during the Sino-Japanese war of 1894, and was dramatically rescued by a fishing boat after his vessel was sunk by the Japanese. By the time of his twenty-fifth class anniversary, Sung had been appointed Captain of a gunboat in the Nanyang Fleet of Shanghai. Sung participated in the Chinese Revolution of 1911, joining forces against Qing imperial troops in Nanjing. "It gives me great pleasure to hear from you," wrote Sung to his Class secretary at the time of his twenty-fifth Class reunion. For more on Sung, see CEM Connections. Sung was born in Shanghai, but his hometown was Xiangshan in Guangdong province.